The Antrim County Courthouse was completed in November 1905. 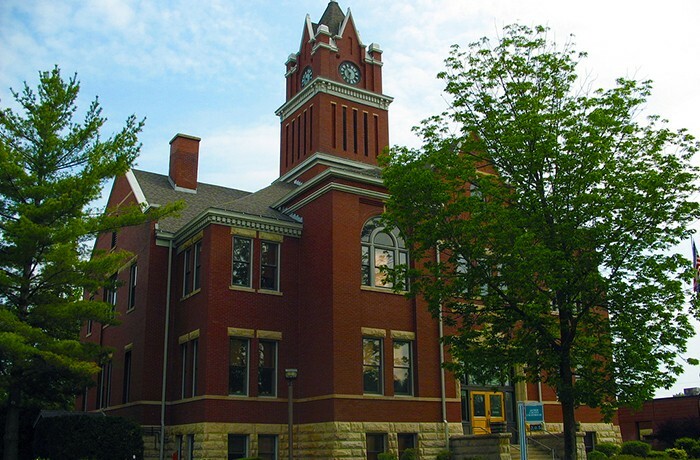 Local architect, Jens Peterson, designed the Courthouse following the popular Richardsonian Romanesque style found in many Midwestern county courthouses. The Courthouse was given a prominent style, impressive massing, and incorporated handsome, high quality materials. HPZS conducted a comprehensive survey of the building, documented existing conditions, analyzed all building systems and presented the findings paired with recommendations for conservation and maintenance of the building. HPZS subsequently also prepared construction documents for the exterior restoration of the building.